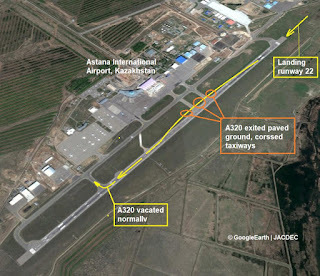 An investigation has been launched into the runway excursion at Astana International Airport in Kazakhstan of an Air Astana Airbus A320-200 on Tuesday 22nd May. The Airbus A320-232 ran off the right side of the runway during landing, damaging an engine cowling that came into contact with a sign as the aircraft crossed two taxiways before rejoining the runway. 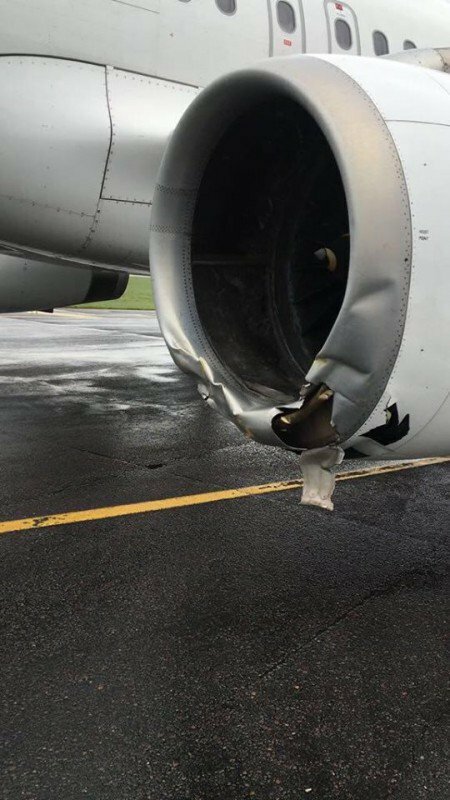 The front of the engine appeared damaged and dented in photos posted to social media after the incident, however, there appears to be no other damage to the aircraft as a result of its going off the paved surfaces. The incident was captured from inside the plane by one of the 97 passengers on board the aircraft on what was quite a windy day. 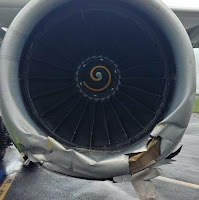 Indeed, there were heavy thunderstorms in the area in the hours preceding the arrival of the A320, registration P4-KBB and local media report that earlier high winds had caused destruction to a crane in the city. In the video, passengers can be heard applauding the captain after a relatively smooth touch down following a crosswind landing on the wet runway. Then the aircraft seems to move to the side, following which, a loud bang is heard and it becomes clear the aircraft had left the paved area of the runway and continues across the grass. Save for a few shouts and gasps, the atmosphere in the cabin seems remarkably calm and measured and a following cabin crew announcement sounds relaxed and in a typical style of the usual arrival message. Flight KC352 from Shymkent had 97 passengers and 9 crew on board and there have been no reported injuries following the excursion. 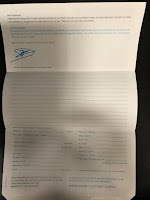 Air Astana has not responded to requests for comments or issued a statement. "It shows the rugged durability of the Airbus A320, that it copes well with the rough terrain and is only damaged when in a collision with the taxiway signage" Our chief aviation correspondent, Jason Shaw said on Wednesday. "The pilot showed good judgment getting back on the runway and was very lucky that the aircraft didn't become bogged down and stuck in the grass, which could have caused quite a few minor injuries to the passengers as well as a much bigger repair bill for Air Astana."